Hello!! 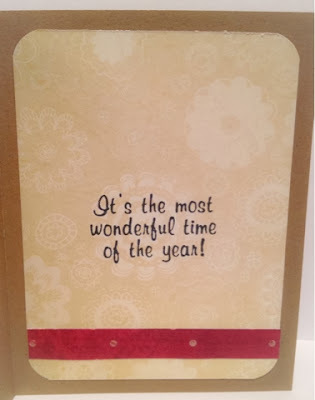 It's October 10th and I've made my first Christmas card this year!!! I'm ahead :). Actually I have some left over from last year so I'm not doing so bad. Love this card / gift card holder and I've decided to prep a bunch for a crop I'm attending in a couple weeks. This is my first crop!!!! Excited - I've registered for a bunch of classes too, woohooo! 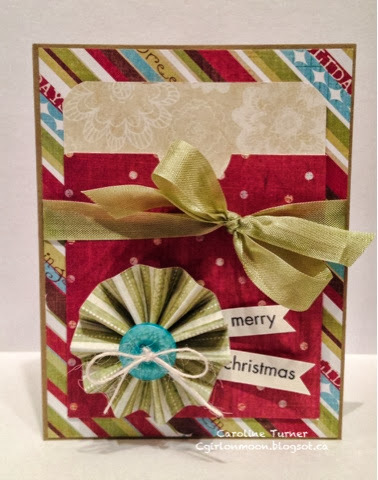 Here is a link to the tutorial for this card. Only thing I did different was I used a kraft card base rather than dp. I wanted it to be sturdy. I think this would be great to give a few packaged together as a gift for someone else to give and I have someone in mind for that. I'm entering this into Sparkle's Christmas Card Challenge #45. So fun! 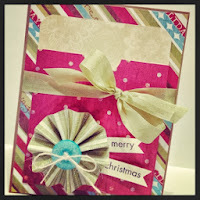 I love the papers you used as well as the fun sentiment! See you at the crop!